Picketty Row was a short row of housing at right angles to and entered from Wellington Street. It ended at the back of Farley’s Gardens. It is discernible on Bidder's map of 1843 albeit not named and appears on the 1886 Ordnance Survey, shown below, left of centre. It is possible, although not proven, that Picketty Row had earlier (in the 1860s) been called Old Tan Yard. Picketty Row was demolished in 1955 and superseded by Wellington Flats. 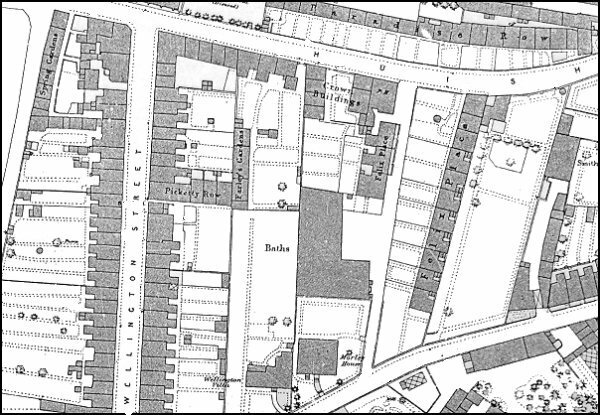 1886 Ordnance Survey showing Picketty Row off Wellington Street at left of centre. 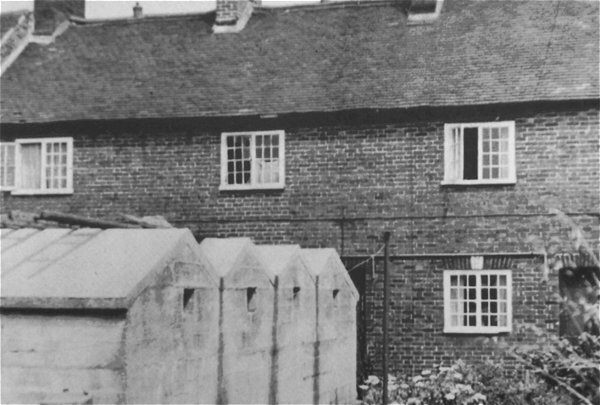 Picketty Row photographed around 1950 with its block of air raid shelters in the gardens.